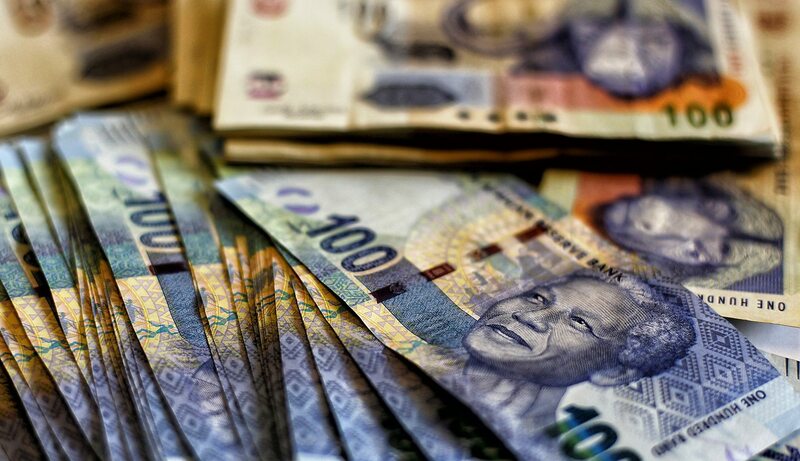 Local government is set to join national and provincial departments on the e-tender portal site from Friday 1 July as plans forge forward to clean up the country’s R500-billion procurement spend. This online tender system, with government’s central database of 149,000 verified suppliers, is the outcome of three years’ work by the Office of the Chief Procurement Officer in the National Treasury. The aim: To deal with the potential hotbed of corruption, overcharging and shoddy products and to bring transparency to supply chain management, the government jargon for the procurement of goods and services. By MARIANNE MERTEN. Chief Procurement Officer Kenneth Brown moves around with a bodyguard. A sign of the times? The man from the National Treasury, a teacher and school principal until 1998, has been asked to put in place a transparent, fair and cost-effective procurement system. That has meant peeling back layers of interlocked interests of private profit and the public purse. The question has always been how far is someone, whose interests may now be at stake, prepared to go? The office is making inroads. Brown told Daily Maverick that in education, procurement centralisation has reduced the costs of a year’s learning material and stationery pack to R130, down from R460, for each of the country’s 12-million pupils. The cost of building a new school has been capped at R35-million, and building plans are being standardised. In health, the procurement of medical devices is being centralised and standardised as pharmaceuticals are next in line, with a potential total cost saving of R20-billion to R22-billion. Moves are under way to regulate government travel and hotel dealings, and a central cellular contract for high airtime and data users like, for example, the SAPS, could save government R450-million a year. On any day there are an average of 4,000 procurement transactions under way in government, involving about 20,000 “procurement practitioners” in about 1,050 procurement agencies across the three spheres of government and state-owned entities (SOEs). But for years now the Public Service Commission has expressed its concern about lack of disclosure of financial interests by senior public service managers, and the numbers of state employees doing business with the state, frequently with the same departments that employ them. For years the Auditor-General has highlighted conflicts of interest between mayors and councillors doing business with their municipality although this is banned, or failing to disclose family connections to a company doing business with councils. Lack of consequences for procurement transgressions and lack of leadership by political and administrative bosses have been perennial flags raised by the Auditor-General, and by others. In 2014, government’s own third Management Performance Assessment Tool (MPAT), or review of all national and provincial government departments, found 65% of departments complied with supply chain management, and only half complied with the legislative and regulatory requirements in managing unauthorised, irregular, fruitless and wasteful expenditure. For now the focus of the 82-strong Office of the Chief Procurement Officer is on modernising and streamlining that tender system: the e-tender portal is already functioning for national and provincial government, and the central supplier database is up and running. Tender documents are posted online on the portal to allow for free access by all potential bidders, who no longer have to travel to various offices and pay bid document fees. Every company on the 149,000-strong database of suppliers has been vetted, and their activities can be traced down to ward level. Registration means verification and compliance with, for example, valid tax certificates, bank accounts, employee information and compliance with various public finance legislative and regulatory requirements. Since the system came into force last year, it has been fine-tuned. For example, departments now have to ask for permission from the office to deviate from tender processes. When this was introduced, the office was prepared for a flood of requests – the Auditor-General has attributed such deviations from stipulated tender processes to have cost R98-billion, or almost a quarter of the total government procurement expenditure. However, Brown said, if in the past two months there had been 20 requests for deviations, it would be a lot. A Supply Chain Management Bill is in the making to provide specific legislative backing to this procurement system. “We want to get to a pay-to-procure system: when you start procurement, it must be linked right through to payment,” said Brown. The current system focuses on the tender, just one of about 10 steps in the process from conceptualisation to payment and asset management. And again he returned to how everyone’s involvement is needed to make the system work, and a spirit of accountability and transparency. Keeping it suitably vague, Brown recalls a provincial tender for school benches. One bidder came in at R500 a bench, the other at R800. Both were put on the system, just in case one couldn’t deliver, but the more expensive bidder got the lion’s share. Yet that company simply picked up old benches, repaired them and dropped them back at schools, with screws sticking out and reused old pieces clearly visible. Why did the principals sign off on these deliveries? Where was the circuit manager in all this? Did education officials speak out? “Ultimately, we can put systems in place for the system to work, but it cannot replace other inefficiencies,” said Brown, adding that it was everyone’s business to ensure the system worked properly and ethically – and for there to be consequences for non-performance. The anecdote of government departments buying pens at four times the price these items are sold for in the local stationery shop is a well-worn one. Depending on the year, and quality of pen chosen, the numbers may vary, but the outcome is the same: government pays more. Frequent headlines recount government overpaying for services, including the 2010 World Cup stadiums, for which private construction companies were found guilty of collusion and fined by the Competition Commission. News reports regularly emerge of tender specifications being drafted with a particular company in mind and sky-high professional or consultancy project fees. Said Brown: “Infrastructure is big business… We (government) easily pay a premium of 40% to 50% on projects.” And so not only procurement but also related professional fees have come under scrutiny. A 10% professional fee on a project costed at R600-million, instead of its true value of R200-million, brings in more money. About three years into the job and some of the measures are paying off, as do meetings with various involved parties, from non-governmental organisations as at Friday’s ISS meeting co-hosted by the Goedgedacht Forum for social reflection, or persuading the national publishing organisation to agree to government increasingly moving its job adverts online, at a saving of R1-billion a year. The Office of the Chief Procurement Officer is receiving tip-offs of how some of the still existing procurement loopholes are exploited from those who are gatvol of patronage networks. The office is also receiving information from whistle-blowers on specific deals. “A big chunk of it is hogwash from disgruntled bidders, but there’s much information,” said Brown. And it is being followed up.